For junk hauling and trash removal you can count on in and around Austin, look no further than Junk Daddy Austin. We’re licensed, bonded, and insured junk haul pros with the knowledge and experience to help you clean out your residential or commercial space quickly and properly. We offer property cleaning, construction cleaning, electronics disposal, and more! Junk Daddy Austin is the area’s best choice for junk hauling and trash removal. We’re pleased to offer both residential and commercial cleanout services. We can handle jobs of any size, from single appliance disposal to large-scale office cleanouts. We’re fully licensed, bonded, and insured, so you can feel completely confident putting your garbage removal, electronics disposal, or construction cleaning project into our capable hands. Contact Junk Daddy Austin today to learn more about the services we offer, and to get a free cost estimate for your junk haul job! Junk Daddy Austin is conveniently based right here in Austin. 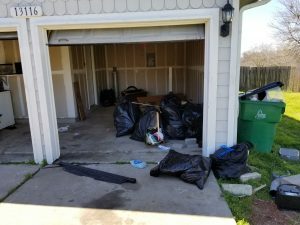 We’re pleased to offer junk removal services to home- and business owners in Cedar Park, Georgetown, Round Rock, Pflugerville, West Lake Hills, Leander, Hutto, Manor, and the surrounding area. Wherever you’re located, our top priority is offering fast, reliable junk removal service. We know how important it is for you to finish your cleanout promptly, because you want to be able to use your new or freshly organized space. Whether you’re conducting appliance disposal to make room for new units or you need assistance with construction cleaning on a home renovation, Junk Daddy Austin will work efficiently to give you a quick turnaround. We also care about keeping our prices among the most affordable in and around Austin. Call us for a free cost estimate for electronics disposal, hot tub removal, or any other type of junk haul service. We’ll ask you to describe your needs and we’ll quote you a rate that’s reasonable and competitive for what you need. 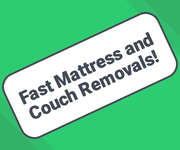 For our low prices, you’ll always get quality junk removal services from experienced professionals. 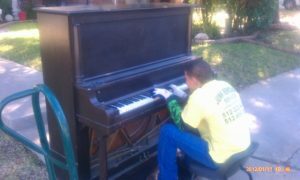 Junk Daddy Austin is your choice for great garbage removal service and great value. Call now for more information, and to schedule your appointment with our garbage hauling experts. Whether you need immediate assistance or are planning cleanouts in advance, we’ll be there for you. 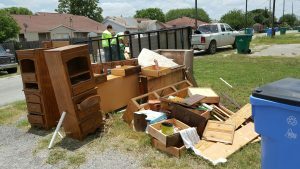 For some of the best junk removal service in town, look no further than Junk Daddy Austin!